The 18th annual Doheny Blues Festival took place on the weekend of May 16th and 17th in Dana Point, California. This South Orange County resort town is perfectly suited for an event of this kind. The festival is situated in a grass field on the north end of the 62 acre Doheny State Beach Park and adjacent to the large overnight camping area which, like the venue, also sits right on the beach. Within walking distance to the festival grounds are at least a dozen other lodging choices that range from five star resorts to motor lodges and everything in between. For Southern California festival commuters, the State Beach Park is right on the Coast Highway and less than a mile from Interstate 5. This year’s festival featured one of the strongest line-ups in recent years. It also included some blues music, which is something I really like to hear at a blues festival. Of course, with an event of this size non-blues acts and more mainstream fare sit alongside the blues to make the event economically feasible. Whether or not the blues festival concept has outgrown itself might be a subject worth examining at another time. 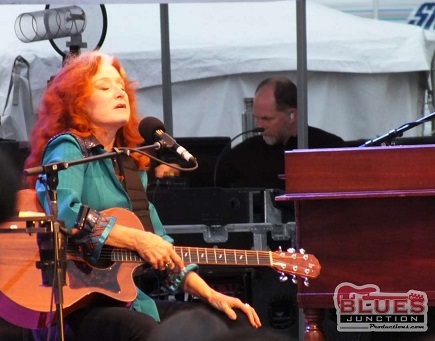 The event included 21 separate acts playing on three stages over two days including Sunday's festival headliner the great Bonnie Raitt. Attempting to cover it all, is always an exercise in tedium and futility, so I didn't even try. What was great was that the non-blues acts were actually very good and were a welcome respite from blues-rock which is often served up as some kind of compromise to the blues-light crowd. On the other hand, if you can’t find something to enjoy in the music of bands like the Mavericks, Los Lobos and the Rebirth Brass Band for instance, I really don’t know what to tell you. As far as blues acts on the bill, there was an international flair to these proceedings. These performers represented some of the weekend’s high points. Trickbag from Sweden was a last minute replacement for Taj Mahal, who was as it was reported by the event's MC, Bubba Jackson “A little under the weather, but doing fine.” The band led by singer Tommy Moberg and bassist Lars Näsman was joined by Indian ex-pat and Northern California based harmonica player Aki Kumar. They went over big in front of a huge throng of people. French harmonica player Nico Wayne Toussaint turned the back porch stage area into a free for all dance party, the likes of which I have never seen with this notoriously staid Orange County crowd. About the time the picnic tables in that part of the festival grounds stopped becoming a dance floor for a couple of hours, the headliner took to the back porch stage. It was billed as the Igor Prado Blues Revue. The Brazilian guitarist and bass player Rodrigo Mantovani were not only celebrating their new release on Delta Groove Music, Way Down South, but 15 years of playing together as part of The Igor Prado Band. They were joined by two harmonica players and vocalists who make appearances on Way Down South. They were veterans Mitch Kashmar and Kim Wilson. The latter was a surprise guest. Then it was time for a relative newcomer, making her Doheny Festival debut, Jai Malano. Picnic tables turned into a dance floor all over again as the visceral reaction to good old fashioned rhythm & blues imbibed with youthful exuberance exerted itself. Some of the blues acts on the bill were even from the United States. These included sets by Mud Morganfield backed by Kim Wilson and an all-star assemblage which included guitarists Billy Flynn and Rusty Zinn, as well as pianist Carl “Sonny” Leyland. The rhythm section consisted of Rob Stupka on drums and Steve Gomes on bass. The Morganfield/Wilson pairing are as close as anybody will ever get to hearing the music of Muddy Waters and Little Walter. Chicago’s Lurrie Bell made his Doheny debut as well and was on a roll until he broke a string. Inexplicably he didn’t make provisions for a back up guitar. With his hammering attack on his instrument this can’t be an unusual occurrence. His set suffered from the incident. Big Jon Atkinson made his Doheny Festival debut as well. Despite the 11:15am time slot he seemed to get over with his set. A big helping of down home natural blues went well with the Sunday brunch crowd. Who knew? Atkinson was joined by bassist Troy Sandow, drummer Marty Dodson, Danny Michel on second guitar and Bob Corritore on harmonica. Big Jon, who can play virtually any instrument, played guitar throughout the 1 hour and 15 minute set. He played several songs from his brand new album on Bluebeat Music. 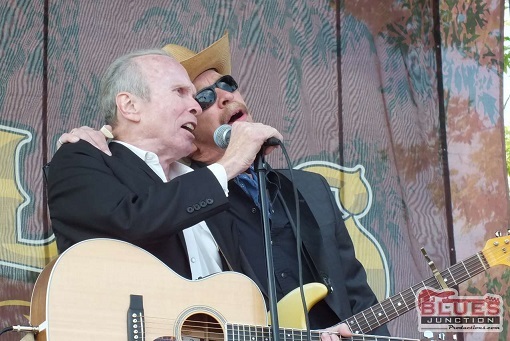 Dave & Phil Alvin, while not strictly a blues act, did feature lots of material from their new album, Common Ground which is a tribute to Big Bill Broonzy. 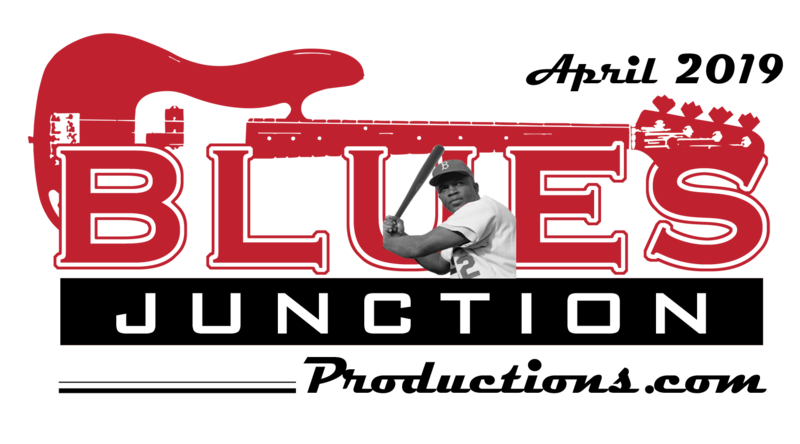 They used their interpretations of these great blues numbers as a jumping off point for some old material of their own. Congratulations once again are in order to Rich Sherman and his crew at Omega Events for another wonderful festival experience. Kudos are also in order for Jeff Scott Fleenor and Mark Liddell who were responsible for some of the bookings at the event. They, along with Sherman, managed to put together a much more balanced program than I have seen at other large festivals in recent years. When listening to music for nine hours a variety of textures, rhythms and instrumentation are essential for the overall enjoyment of the event’s customers. This applies just as much to the casual fan as it does to the more experienced, sophisticated listener. It was clear that this was on the mind of Sherman when we spoke briefly on Saturday afternoon. I was looking over my revised program and saw that an overhaul was made to the schedule. Sherman told me, ‘…rather than simply insert Trickbag into Taj Mahal’s vacated time slot, I re-shuffled the deck to give Saturday’s program the kind of thoughtful flow that went into the initial schedule in the first place.’ This is the kind of attention to detail that separates this event from others of its kind. As the news of the recent passing of B.B. King was on the mind of festival goers, it reenforced an important fact. The tried and true blues festival headliners are becoming a rare commodity. It is the creative booking exemplified by these three gentlemen that will help to build the blues festival headliners of tomorrow. Returning customers to the Doheny Blues Festival can become vested and grow with the younger and deserving talent that is emerging from all parts of the world. This is part of the legacy of the late great B.B. King, who turned generations of young musicians onto the blues. It could also it be part of the legacy of the Doheny Blues Festival as well.